Some practices and traditions are uniquely Filipino. You have beliefs like hiyang (when you use something that’s well-suited for you) and lihi (pregnancy-related discomforts or cravings). 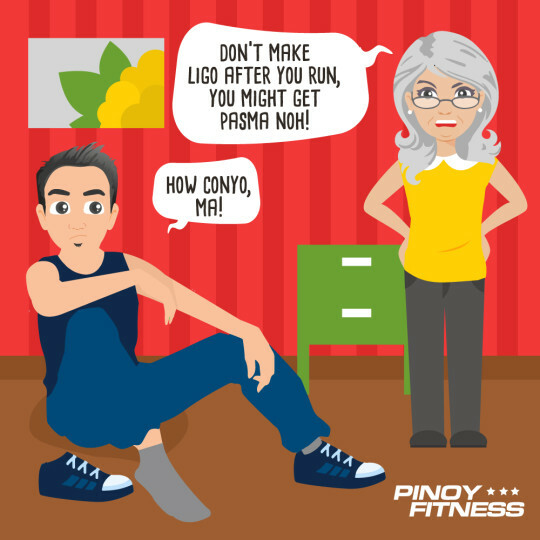 You also have pasma, which is the usual complaint when Pinoys experience hand tremors, sweaty palms, numbness, and pain. Certain individuals are said to be more prone to pasma, like factory workers, farmers, laundrywomen, and athletes. But what is pasma anyway? How do you deal with it? Pasma is similar to the Spanish word “espasmo,” which translates to spasm, and musculoskeletal spasm may be the closest term one can use for it. Pasma is actually more of a folk illness. Folk illnesses are specific to particular cultures but are not described in medical textbooks nor discussed in medical schools (Michael Tan, 2007). It’s a Filipino healing modality that’s not currently considered to be part of conventional medicine. It comes from the Theory of Humours (Hot and Cold) in which every object in nature is labeled as either hot or cold. For our bodies and the environment to be healthy and well, there must be a balance and synergy between hot and cold. An imbalance of one humour will lead to diseases like pasma. According to this theory, this is why people who work with their hands and undergo strenuous physical activities are admonished not to immediately wash up afterwards else they become pasmado (the state of having pasma). So can I take a shower right after a run? It’s an idea that’s shared by fitness guru and former In Fitness & In Health TV host Tina Aboitiz-Juan. In a past wellness article for the Inquirer, she stresses the importance of cooling down after a workout and says that your heart rate should first return to near normal resting levels. So do shower after exercising if you need to, but don’t forget to cool down first. Pasma is often the reason cited behind hand tremors, sweaty palms, numbness, and pain, but it does not exist in modern medicine. If you regularly experience such symptoms though, then it might be time for you to visit a trusted health professional just to rule out any underlying condition. A registered nurse, wellness enthusiast, and freelance writer, Patricia Mirasol's appetite for food is as hearty as her appetite for life. She loves meeting new people, experiencing new places, trying out new dishes, reading contemporary fiction, and writing about all of the above. Read her blogs at Idea Crib and follow her on Facebook. There’s no such thing as pasma..
Running is just like going to the gym..
After you hit your work out its ok to have a shower after..
Haha… pasok s bangaaa amiga.. Sudden change of temp is what gives you body pain or fever.. kaya nga they say to cool down first before shower or take a warmer bath. Yung mga sumasakit ang katawan hindi due to pasma yun… rayuma yun, arthritis at muscle deterioration due to old age. I make ligo like 30 mga mins pa.